Simply defined, home renovation is the process of renovating or making additions or improvements to an existing home. Dilapidated buildings or poorly maintained houses are sometimes considered to be in a state of disrepair. To renovate a house means to restore the said house to a good state of repair. Home renovations can refer to updating the structure of an existing home or making a subtle improvement to the lawns, gardens and outdoor structures. It can also include maintenance, repair or servicing tasks. Home renovation can be done for many different reasons. 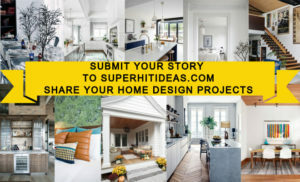 Some renovations are done for comforts like upgrading the plumbing in the house or updating an out-of-date kitchen with new finishes and fixtures. On some occasions, renovations may include maintenance or repair projects like concrete and masonry repairs or the repainting of the rooms, walls or fences. Sometimes, turning small areas in the house into livable spaces is also referred to as renovation. Some such examples are turning the basement into rec rooms and home theatres, or turning attics into bedrooms.